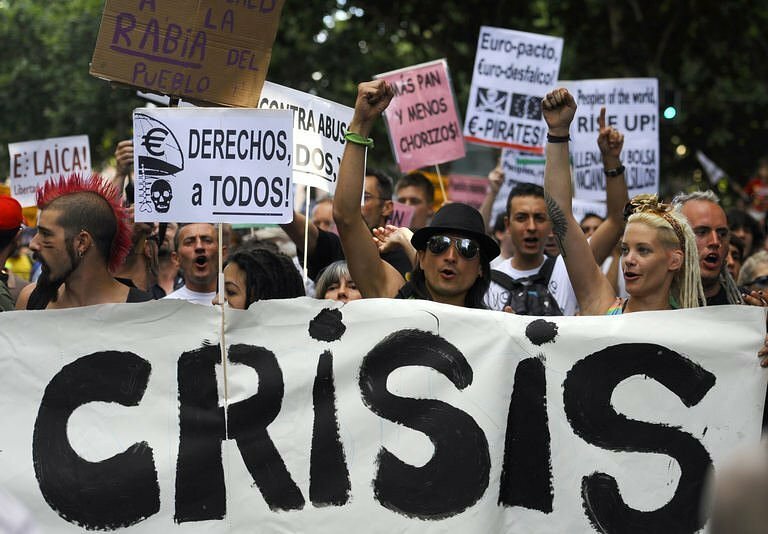 MADRID — Thousands of Spain's "indignant" protesters, including hundreds who crossed the country on foot, marched through Madrid Sunday to demonstrate against high unemployment and the economic crisis. Six columns of more than 500 protesters who marched for weeks from cities across Spain formed the core of the demonstration. They were joined by protesters who arrived in Madrid by bus from over 30 cities and residents of the Spanish capital.